I have the most boring wardrobe. I tend to go on fashion phases and usually it takes a while for me to snap out of my current fashion phase. So far I am done with my all-things-black phase, I remember my mom would say everytime she sees me before, “ano ba yan para kang pupunta lagi sa patay.” Haha. What the heck, I am living out my black chic drama. I’ve always felt that you can never go wrong with the little black dress and pearls. :) I am also done with my all-things-checkered phase. It was cut short because one time, we attended a gathering and the table cloth looked screamingly like my top so that sort of did the reality check for me. Funny, but I went through all-things-animal prints too, but that didn’t last long too. Even I realized that yes it looks good on some people but definitely not on me:) As for my all-things-flowery prints, I am sort of not over that yet, but it isn’t totally consuming me as the other ones, and I mostly like them on bags and pouches. I also love to wear stripes…the vertical one since I’m not tall enough..it gives my physique a tall and thin effect. 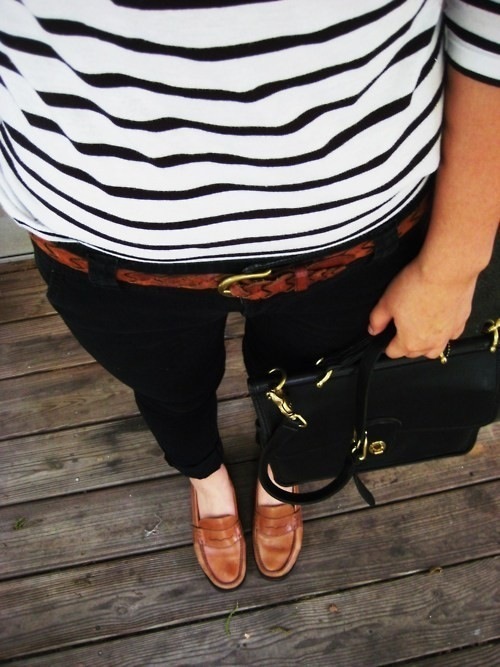 I am fond of wearing stripes too, especially the horizontals. i also don’t care much about fashion, but i swear to you, i love stripes 🙂 yey! 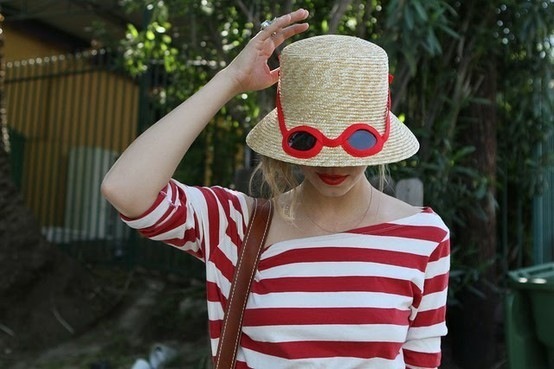 stripes, black and white plus RED.. reminds me of Betty Boop! I feel that they make me look kinda fat. Hehe. Thanks for sharing. I like the black stripes skirt, esp. ung color black , ganda! I used to have a couple of striped polo-shirts but all of them were too tight for me. You must be really thin to pull that look … I look like a prison ward when I wear stripes. 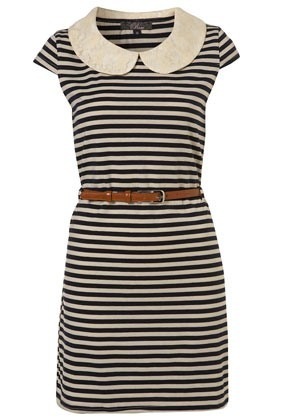 Ooh.. Me likey the striped dress! Oh gawd, you think you have the most boring wardrobe? Think again! hehhee.. Ako na yata ang number 1. Kaya nahihiya akong iblog ang wardrobe ko kasi alang kwenta. LOL. joke! “And at any given day, I don’t dress for fashion, I dress for myself.” loved the line… this should always be the attitude, if you’re confident enough to what you wear… maganda lagi ang kalalabasan. Yahweh bless. Yeah. Stripes are cool. They look neat and dainty. i love stripes too, pero now parang hindi na bagay sa kin, lumalapad lalo ko. hehe! bihira din kasi ang vertical stripes. I love stripes. I am very thin, so as much as possible I wear stripes to look bigger..
That is exactly should be the mind set of everyone! I really love your last line – I don’t dress for fashion, I dress for myself. :) That’s so cool!